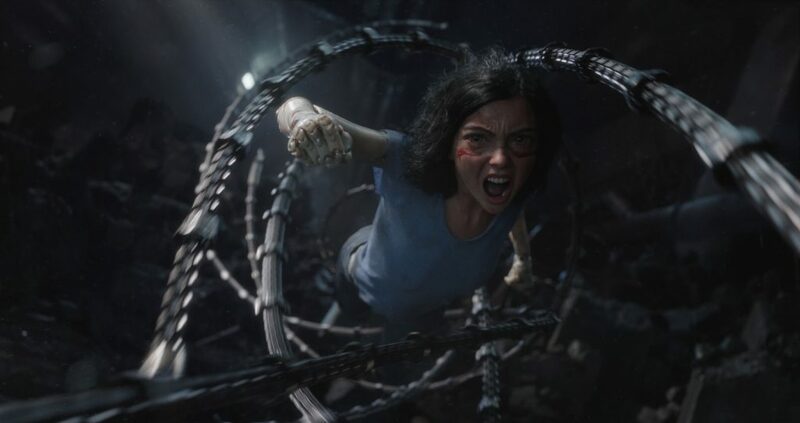 Aaron Neuwirth reviews Alita: Battle Angel, the action-packed manga adaptation coming from a collaboration between Robert Rodriguez and James Cameron. Before Avatar, I had heard plenty about producer James Cameron’s plan to direct Alita: Battle Angel. After two decades, the film has finally arrived, but in the hands of another. Robert Rodriguez, a filmmaker with plenty in common with Cameron, steps into big-budget territory for his first time, and delivers spectacle that deserves a big screen viewing experience. Even when the film comes up lacking in the narrative department, enough work is on display to show how Alita works as manga come to life in bold and ambitious ways. Following a bit of explanation to set up the year of 2563 as a dystopian future where the high class lives in Zalem, a city in the sky, while the rest mostly reside in the junkyard metropolis of Iron City, we meet Dr. Dyson Ido (Christoph Waltz). Ido is first seen searching through junk, only to find the remains of a female cyborg with a fully intact brain. Bringing her back to life by attaching a new body, “Alita” is born. 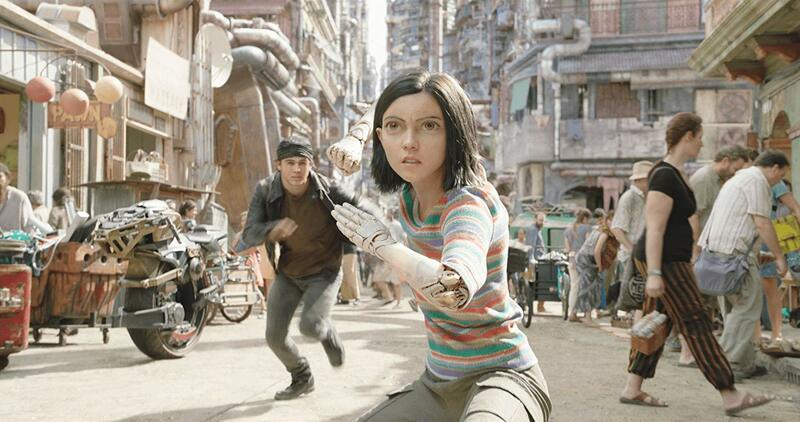 Performed via motion capture by Rosa Salazar, the rest of the film revolves around Alita’s journey to discover who she really is. Based on Gunm (or Battle Angel Alita) by Yukito Kirshiro, the real key to making a film like this work lies in the ways that many of Cameron’s projects are successful. Rather than pushing forward immediately with high-octane action, this is a film that keeps its focus on character. Having co-written the screenplay with Laeta Kalogridis, one can see Cameron’s goal in making sure Alita is someone the audience cares about. Does that mean all of the other characters are well-rounded or the film avoids having obvious themes being stated out loud? No, but I’m willing to take in some clunkier aspects of this story for the sake of a film that is genuinely well-acted and fittingly stable in its heightened, futuristic world. That’s not to say the film is small scale, but starting from a personal level by keeping focus around the doctor and his surrogate cyborg daughter allows an audience to learn about the world at mostly the same rate Alita does. Because of this, there’s a lot of great work done to develop Iron City, what we need to know about how it functions, and what kind of inhabitants there are. Being a fairly straightforward story, while we can tell it has a vast population, we mainly meet street kids and bounty hunters. As limiting as it may seem, it’s also telling that Alita is a film that knows how to have fun in being a live-action manga adaptation. While the characters do take things seriously, this is very much a film that allowed Rodriguez to play. 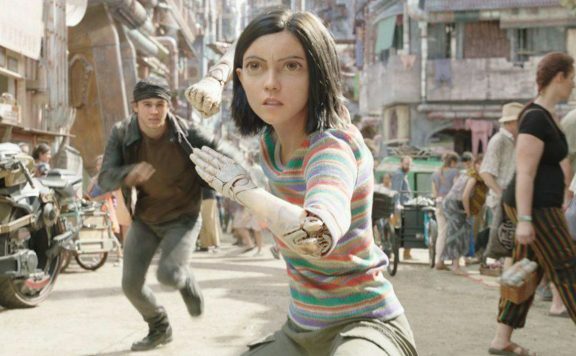 The director has had a lot of practice working in his Austin studio, outside of the Hollywood system, but with a crazy budget and a visionary like James Cameron behind him, nothing is stopping Rodriguez from launching Alita into some wild situations. To the film’s credit, the stakes are mostly personal. Alita doesn’t become a fight for the survival of the entire city. Because of that, the plot takes its time, allowing us to engage in the exhilarating death sport known as motorball, along with exploring the politics of the bounty hunters known as Hunter-Warriors. This is the kind of film that somehow gets the sport mashed together with the function of these assassins and is the better for it. 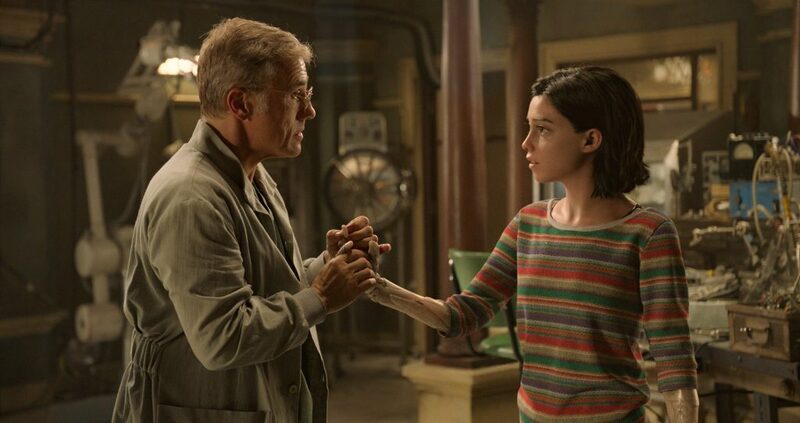 Much as one may see a lot of familiarity with Alita serving as some kind of chosen one, there’s a lot to enjoy about a film that would rather have scores settled in bar fights, over-the-top sports matches, and showdowns where the scale is set at a David vs. Goliath level. None of this works without having a capable team on hand both in front of and behind the camera. In terms of the actors, Salazar does a commendable job of making us care about Alita. For audiences to get behind this fully digital character, it helps that the choice in writing was to make her very positive and without any sense of cynicism. It’s similar to another wildly ambitious (and doomed to fail) film that I enjoyed, Valerian, in that manner. For a futuristic society with so many ways to talk about how bad things are, we mainly focus on a character trying to see the good in it all, even when taking the appropriate actions to fight back. In addition to Salazar, Waltz is very good in a low-key turn as a father-like figure. The film doesn’t make us wait long to understand his motivations, and at the same time, we get to see him get in on the action as well via a ridiculous rocket hammer fit for a comic book movie. Mahershala Ali and Jennifer Connelly are mainly around to add some veteran authority as two baddies with varying levels of scheming on their minds. 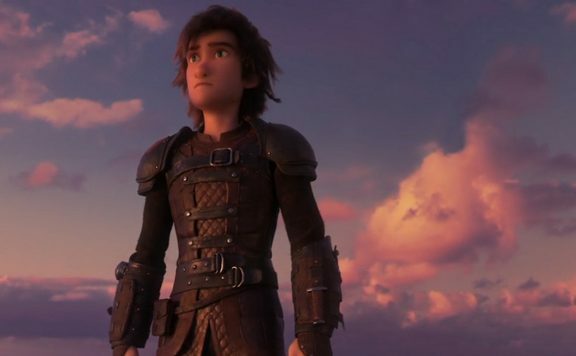 Keean Johnson is fine as the boy who befriends Alita, only to fall in love with her. It’s the weakest aspect of the film, though seeing Johnson dressed as a young Rodriguez throughout was humorous. The rest of the cast is a mix of character actors and Rodriguez regulars appearing as various CG creations to embody a wide array of killer machines, most notably Jackie Earle Haley as the hulking Grewishka. 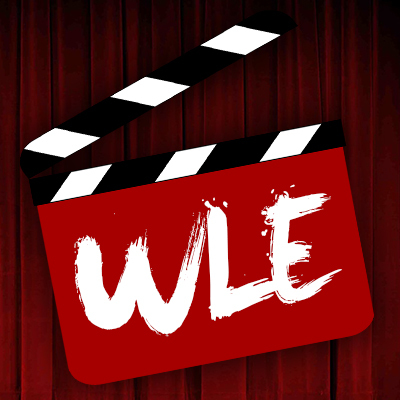 Does it all work for a compelling story? Somewhat, but the larger point is in seeing this world brought to life and the action that unfolds. Yes, I’ve spoken about the work to make Alita, and others, standout, but it does serve the purpose of having us care about the action, which is grand and wonderful. Rodriguez and Cameron are not strangers to designing elaborate action sequences, and the ones we see here sing with creativity thanks to help from veteran action cinematographer Bill Pope. 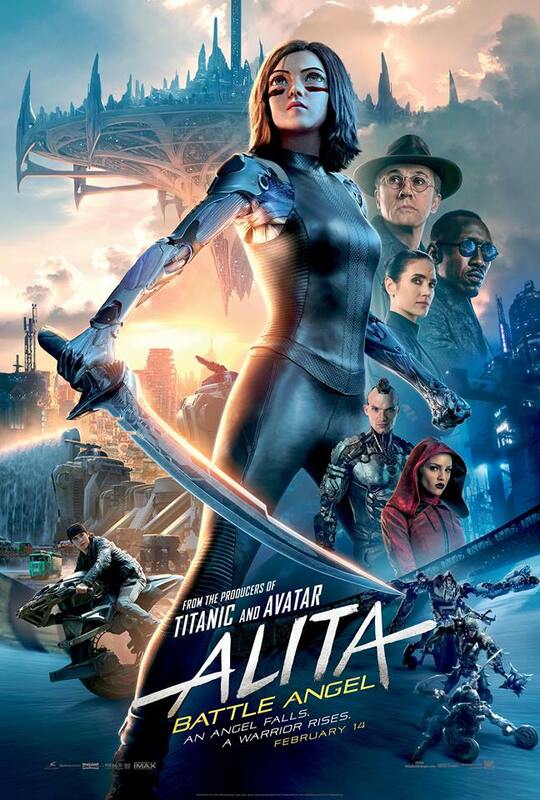 Alita gets into several brawls during this film, and they are always focused, tense, and easy to comprehend. No matter how big the machines involved are, there’s a clear understanding of the mechanics of why things happen. One can tell how a reasonably small cyborg can take down massive mechanical monsters with razor sharp blade hands or crazy robotic tentacles. If there’s any real issue, it’s how the film gets to presumptive in where things will go next. With a few too many endings, following a story that kept the stakes fairly grounded, it’s irritating to see doors left open for follow-up films that may or may not happen. I would have rather seen the film stick to being this wild sports movie that happened to feature robot brawls with bounty hunters, but there’s the typical plotline surrounding corrupt businesspeople and leaders with vague overreaching goals on their mind. More important than its story, however, is knowing what kind of accomplishments were made with realizing Alita. There’s creative energy on display here that we don’t get to see often on this scale, with these filmmakers. 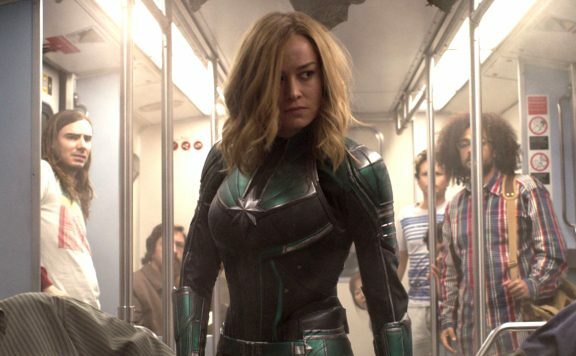 The film is coming in at a time when studios toss huge movies out there, and the established franchises tend to stick, while newer, ambitious attempts fall by the wayside. Ideally, this movie would be a success, allowing for improvement the next time around. It has the spirit of a manga, made with the talents of those who can make these big ideas work on a level that’s not hung up on the logic of its plotting. That doesn’t make the film work beyond its story, but there’s more on display worth championing if it means getting to see two risk-taking rebels realize more of their crazy visions.